No Dragon Con For You? No Dragon Con For You?. Stuff to do in Nashville if you can’t make Dragon*Con. via Nashville Geek Life. August 15, 2014 | Categories: Conventions | Comments Off on No Dragon Con For You? It’s my Birthday and I have a simple request. Share my art. Share this blog on your social media sites, Just pick one of your favorite posts and hit the share button. 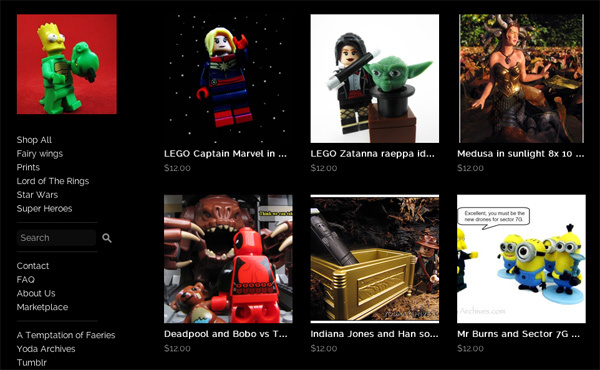 And visit my new store on Store Envy and like a print by clicking the envy icon. I previously posted about new Minion Surprise blind foil bags. At that point I had not found the new bags in store. Well I finally found them at Toys R Us. from the image on thinkway’s site, I was worried the new and old figures might be mixed in the bags. They are not. The new ones are labeled as Despicable Me Minion Made, Minion Surprise. There are eleven figures pictured on the bag and checklist card. See the Minion Made list below. All these but the kicking minion are in the Toys R us Boxed set. The box set is $19.99 and the bags are $2.99 at Toys R Us. I do not see any cheat code for these. The bags have the same code, D62504 stamped on the bottom of each bag. The figure is packaged in a way that makes it hard to use the feel method to determine what minion is in the bag. * not pictured in group shot, replaced by newer version?